Home / News / Unbelievable: $425 (N170,000 Naira) For Mud Jeans - Social Media Reacts! 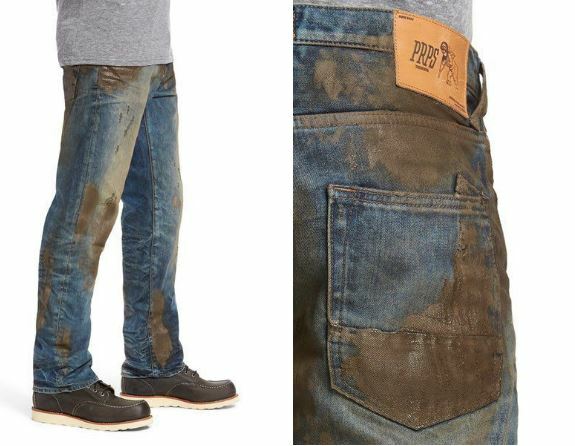 Unbelievable: $425 (N170,000 Naira) For Mud Jeans - Social Media Reacts! 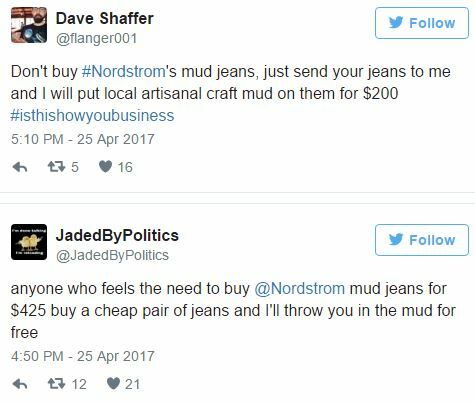 A US clothing company Nordstrom has been mocked on social media for its latest stock, what the company describes on its website as "rugged, Americana work-wear" and "hard-working action". The jeans is being sold at $425 dollars approximately 170,000 Nigerian Naira. 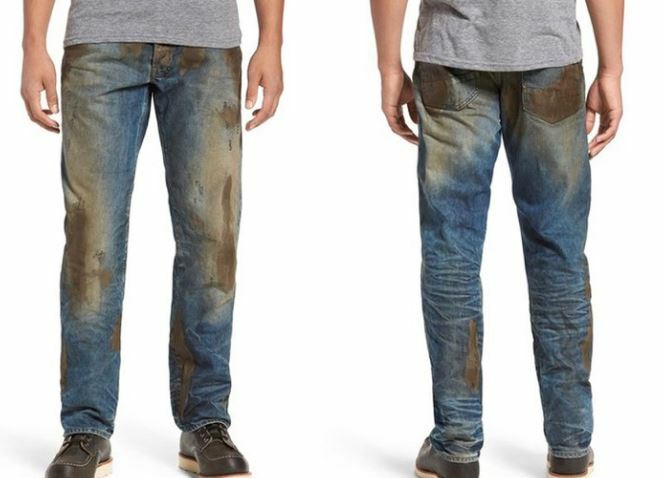 According to the company, the jeans are made with muddy coating "that shows you're not afraid to get down and dirty". 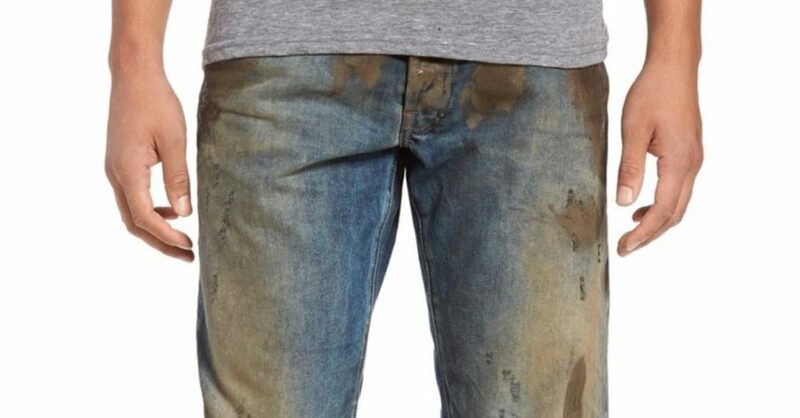 It has currently set the internet ablaze as so many social media users are criticizing the Mud-distressed jeans. "You can achieve the same look for a lot less by rolling in your backyard or gardening," one commentator said. Lolz!